As a child it was a treat at bedtime to have warm milk with a spoonful of honey in it. Warming, homely and delicious. Turmeric lattes are all the rage at the moment and now in the highstreet coffee shops as a caffeine alternative. 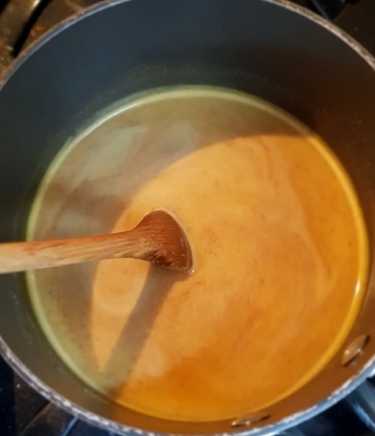 Turmeric is an ancient spice that has been used for centuries as an anti-inflammatory and with the warming spices of nutmeg and cinnamon I use my organic nut milk from Nuts About Milk to make this delicious evening comfort to settle my tummy on a cold and windy night. 1. Pour the milk into a saucepan, add the spices, mix and heat until hot. 2. Enjoy the drink whilst under a blanket on the sofa!